From gliding through the sandy deserts of Origins to basking in the ostentatious ancient Greek environments of Odyssey, the last few Assassin’s Creed instalments have not failed to astound players with their mind-blowing finesse. That said, regardless of how far the series has progressed (undoubtedly for the better), there are still stories long forgone that’re still worth experiencing, and Assassin’s Creed III Remastered does well to scratch this itch. 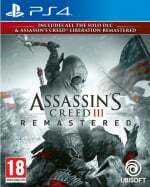 In this generous helping of remastered content provided as part of Odyssey's season pass or as a standalone title, we're gifted an opportunity revisit a true milestone in the Assassin’s Creed franchise complete with The Tyranny Of King Washington DLC - and that’s not all, as Assassin’s Creed III: Liberation also joins the line-up. After pitching camp on Sony’s handheld that never truly took off back in 2012 and its late arrival to PS3 in 2014 when the franchise had long moved on, it’s an adventure unbeknown to many and this remaster offers a divine opportunity to dabble in Aveline’s tale. We will however take focus on Assassin’s Creed III’s revamp for the purpose of this review. For those unfamiliar with the plot of Assassin's Creed III, it follows on from the events of Revelations as Desmond and his comrades fight to prevent the impending doom of the 2012 apocalypse. He uses the Animus to relive the memories of a new ancestor, Ratonhnhaké:ton (or Connor Kenway) - an Assassin who battles against the growing Templar threat during the 18th century, following the American Revolution. Unfortunately, the narrative is not the game's strong suit, and is weirdly at its best during missions outside of the Animus where the loose ends of Desmond's story are being tied. It’s a shame considering the vast majority of the game comes from Connor’s perspective within Abstergo’s VR contraption. Ezio left in his wake some mighty standards to live up to and sadly, Connor does little to fill the void. Adopting the mannerisms and temperament of an impatient, petulant teen and seeing little character progression to remedy this as sequences play out, our primary protagonist leaves little to warm to. The title also briefly dangles a carrot in front of your nose by allowing you to play as Haytham in the utmost early stages of the game. Haytham is a far more likeable and intriguing lead and this only ensures a bitter taste is left in your mouth when Connor eventually steps into the spotlight. What’s worse, little lies elsewhere to overcompensate for this and compliment the narrative. The plot is truly staggered by tutorial-style missions that seem to endure forever. Only pushing halfway through the story does the game actually loosen its unrelenting grip on your hand and officially offer you freedom of the reins. Fortunately, although Assassin’s Creed III slacks in providing an immersive, heartfelt story it undeniably redeems itself with its gameplay that utters its own sense of charm. Back when the original game was released, Assassin’s Creed III truly upped the ante of Revelations, presenting itself as a true milestone for the franchise - and that’s something that can be admired even now. It masterfully fabricated a balance, maintaining the more vertical approach to gameplay we’d come to expect from the series' built up environments while expanding its horizons and offering players a great deal more to explore. 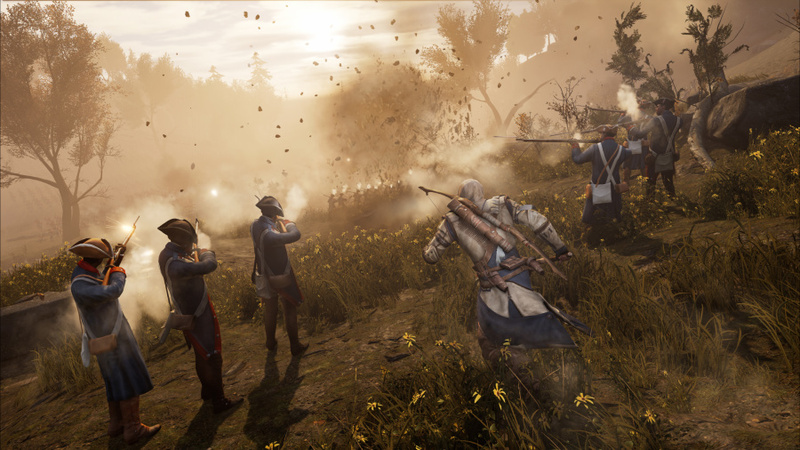 Assassin’s Creed III is primarily made up of woodland settings teeming with animals and the remaster has done well to bring an even stronger sense of allure to these environments. Enhanced visuals featuring physics-based lighting and native 4K resolution scaling provide glorious immersive locations to explore that better reflect the graphical progress made across the series since III’s original release. Even character models have seen an overhaul. Although this revamp doesn't scratch the visual fidelity of Odyssey, it does well to showcase Assassin’s Creed III in a far more flattering light. The game's more expansive settings offer shed loads more to do. Hunting is very much at the forefront of the gameplay, allowing players challenging and rewarding ways to earn money. Homestead missions are another way to earn consistent income whilst acting as it’s own little soap opera of missions between residents in the region of Connor’s HQ. Naval missions are also available, meaning all in all there’s quite the assortment of ways to break up the story missions and acquire ample means to beef up your arsenal, all of which are wonderfully versatile and easy to enjoy even now. Of course this all highlights a point in which the franchise was in a sort of limbo, a precursor to the transition to the open-world RPG take we are well acquainted with now. Even so, it’s hard not to applaud the relevant steps Assassin's Creed III took to raise the bar for the franchise way back when. Backtracking to an old Assassin’s Creed title following the progression the series has made since is no easy task and III’s remaster has tried to best accommodate this evolution. Yes, it’s done more than address the graphical side of things, reworking and polishing mechanics such as the whistle, which can now be used from any hiding spot, and the ability to double assassinate which feels far more refined. 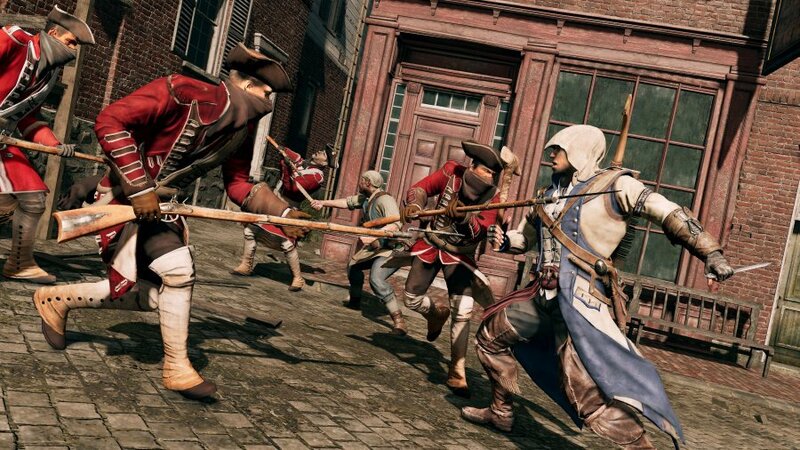 Moreover, Connor may now freely aim with his ranged weapons much like in Rogue and Black Flag. Although this does not mirror the same fluidity of that showcased in the likes of Odyssey, it makes returning to this clunky forbear all the more tolerable. Even taking into account Assassin's Creed III's more confined combat, executing gruesome finishers with tomahawks has never felt so good. It would appear the latest retread in the Assassin’s Creed franchise has learned from the underwhelming efforts of Rogue Remastered, which saw a graphical overhaul alongside little else. 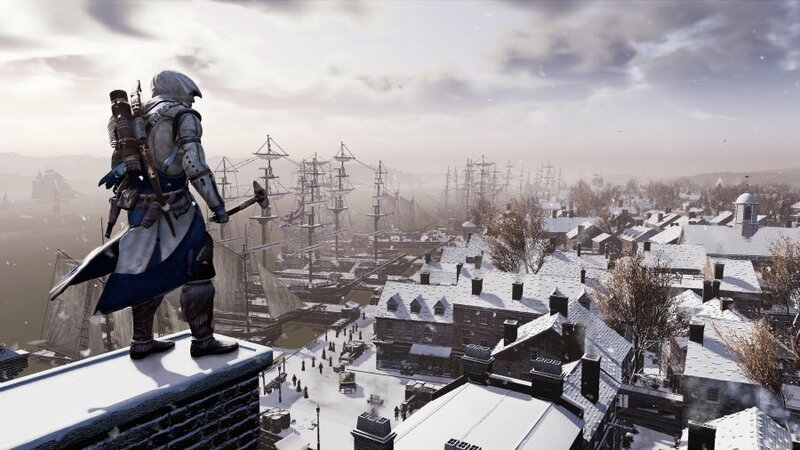 Assassin's Creed III Remastered brings far more to the table, seeing otherwise frustrating mechanics heavily tweaked and polished to make them less of an annoyance in the shadow cast by the likes of Origins and Odyssey. As much as this remaster can’t address the fundamental creases that the series re-imagining has worked so hard to iron out, it still retains its own sense of charm and is wonderfully reminiscent of the series' roots, paying great homage to the progress it’s made since. Although the series' RPG “reboot” may have served as a warm entry point for newcomers, the franchise still has some stories that are worth retelling. Assassin’s Creed III is one such story. Nicole has had a raw passion for gaming from the moment she took up a PSone controller and delved into the vibrant worlds of Croc. Although this kickstarted an undying love for 3D platformers (and a profound obsession with Ratchet & Clank in turn), her tastes are widespread and she’ll play and share her thoughts on just about anything. Its good that this also includes liberation HD. Seems like a generous package. Although im not sure this needed to be remastered? It would feel odd to go backwards after the progress in origins and odyssey (yet to play odyssey yet). And it wont do much to combat AC fatigue if people go back to play this in a fallow year for assassins creed. This was one of my least favorite entries to the series. I never did play AC3 but it'll be hard to go back to any old games in the AC series after the excellence of Origins and Odyssey. Good to see a fairly favorable review of this much maligned installment. Having been one of the few who enjoyed Connor’s escapades on PS3, I’ve felt that the game was actually more progressive than many people tout it to have been. Thanks for the excellent review. I’m unlikely to have the time to revisit Colonial America since I haven’t been through ancient Egypt or Greece yet, but here’s hoping more people will give AC3 a chance. I had reached peak AC fatigue when AC3 came out so that, plus the slightly negative reviews about its aggressive hand-holding meant I never looked at it, even when it was a freebie on PS+. I now have the remaster as a freebie after picking up Odyssey Gold a few weeks back. I'd like to give it a go, but given I am only 42% complete on AC:O after 52 hours, plus the fact they don't seem to have addressed the hand-holding in this remaster, I have a feeling I may not get around to it yet again. @Rob_230 It’s clear they’ve acknowledged and tried to address the difficulty in returning to and old AC game following how much better the more recent games are. It’s more of a nostalgia buzz above all else. Goddamn I hate this game. What a slog. @Th3solution I’m glad you enjoyed. I totally agree! It’s not to say it isn’t without it’s fair share of flaws but it really took the series to new heights and I think that is something that should be acknowledged for certain. @QualityGeezer Indeed so, it’s been teeming with content. Nice freebie with the Odyssey season pass, but all I remember back in the 360 day was a never ending tutorial, that went for about 8 hours! Not played the George Washington DLC though which was suppposed to be quite good in the end. This passed me by last gen, I was a bit fed up of the series with all the spin off games after the 2nd game. I've got Orgins which I've partially played through. I don't think I will be picking this up. @Rob_230 I think they've remastered every other AC game except the very first, so they probably felt it was silly not to. Like collecting all the feathers in AC2 except the last one... which means they'll have to do the first one too.
" 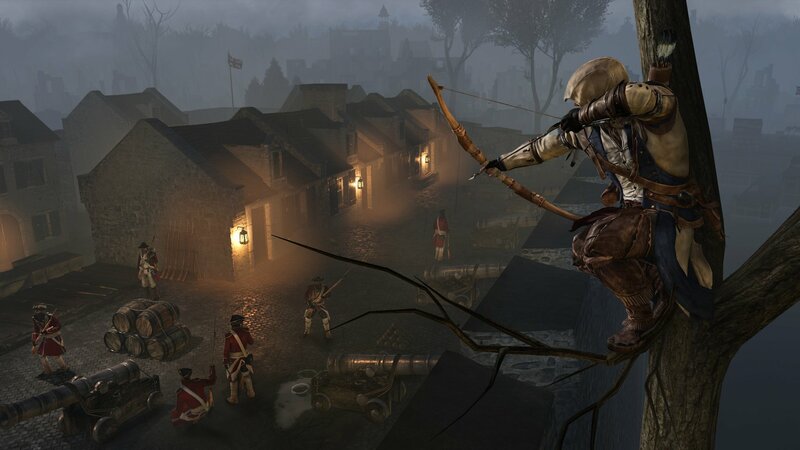 Back when the original game was released, Assassin’s Creed III truly upped the ante of Revelations, presenting itself as a true milestone for the franchise". This is not true, at all. At the time, because of the success of the predecessors, there was so much hype for this game, but it failed Big Time. The story was nothing compared with the others and in terms of the game itself, gameplay, etc, it was not that good. But, at the same time it laid down the foundation to BlackFlag. I think this originally came out at a weird time? Maybe it was around the Vita launch or something, but I know I didn't get to give it nearly enough time. I enjoyed the setting and new mechanics a lot, but I also remember playing Black Flag and thinking how much more fun it was than III. I think the whole AC franchise would be more fun with Zelda, Ni No Kuni type graphics so it doesn't look awkward having realistic protagonists running all over the place, or with those sorry horses. Ubisoft left out an important key figure during the American Revolutionary War and the French Revolution Lafayette. Why would Ubisoft didn't have him in the Assassin's Creed III and Unity? Whenever I read a review on this website there seems to be a disconnect between the review and the score they rarely match up. This was my favorite old school AC game and the one that got me into the series, so I have a soft spot for it. Still I will admit it will be odd going back to this one after playing so much of Origins, but I am still looking forward to it. @LowTech I don't think that's what Nicole is getting at. She's saying that ACIII was the big next step for the series, and it was, regardless of whether people thought it was disappointing. You've got to remember that prior to this, we had three games on the bounce (within the space of three years) that all starred Ezio. Before ACIII, Assassin's Creed had been Ezio's story for three whole instalments. In that sense, it was an undeniable milestone. If you continue to read, after the part that I quoted, that's not the idea that I get. But still, I agree, Assassins Creed III broke with the previous ones and, because of that, it is a milestone. Haytham is the best part of AC3. This one is not worth a revisit for me. I really do feel like all of the last gen AC games needed remastering and releasing as one set. Individually there just doesn't feel like enough to justify buying them again. Having played every game in the series, with Odyssey being my favourite (who doesn't like being an Ancient Greek Demi God fighting the beasts from the 12 labours? ), this was my favourite in the series until that point. I always found Connor a much more believable character than the unrealistically altruistic Ezio, whom I loved as much as anybody. It wasn't about joining the brotherhood and giving up on his entire life to fight an enemy bent on world control, it was about a boy whom had to watch his whole world being burned, his people being killed in the wake of "progress". He just wanted to avenge his people, then intimately took on the larger cause. Excellent review regardless of personal opinion that acknowledges the steps 3 took to move forward. Man, this game was rubbish. It's got like a fourteen hour tutorial, a jack-of-all-trades-master-of-none approach to gameplay, and one of the worst final missions ever. The only thing I really liked about it was that it introduced the boaty bits so we got the pirate game which was much better. Or at least I remember it being better. Maybe I just enjoyed the sea shanties. There were flashes of a good game in here, but I felt like it went on a bit. It was fun running around the rooftops of colonial Boston though. I played Fallout 4 not long after, felt like I'd seen the beginning and end of the city. ACIII was one of the first games I picked up when I made the move from console to gaming PC's (though I did pick up a Playstation 4 in 2017), and I remember intially being skeptical it could be better than ACII or Brotherhood but I was also tired of playing Ezio after Revelations. Looking back it's not quite as good as ACII or Brotherhood but it's better than Revelations and also AC: Black Flag imo. Black Flag is a great game as long as you play as a pirate, as an Assassin Edward sucked balls. Connor on the other hand was possibly the most brutal and angry Assassin of them all. Not my favourite AC game by any means (that would probably be AC: Brotherhood) by far from the worst imo. I'll probably plough through it after I finish Odyssey (got Odyssey Ultimate Edition during a sale so ACIII Remastered is a nice bonus). Welcome back Connor. Awesome, it comes with Odyssey's Season Pass. That's tons of value! I think this is a fair review. I remember it being good but not quite great. Ac3 alone is quite a large game and with liberation bundled in (I haven't played that one yet) it's a bargain. Especially if you got it as part of the odyssey season pass which is already excellent value. With the likes of EA and Activision essentially being complete turd burgers to their customers its nice to see other developers being fair with their games. I'll happily spend money on something that's worth it. @gamerssdelight what an excellent review, congratulations! @Infinite_J_777 Yep I bought AC Odessey Gold Edition on sale for $33. Its a steal for this price considering the Game + DLC + ACIII with all DLC + Liberation. @ILoveVideoGames wow that is a very good price! I paid full price on release + season pass and to be fair I don't regret it. I'm 120 hours or so in and I haven't even finished the main game yet and I'm not bored either. A great game by my standards. @Infinite_J_777 I haven't even started playing Odessey Lol. I am revisiting and finishing old AC games first I never completed starting with ezio collection. Finished Ezio collection just a week ago and still loved it as much as I played them 9-10 years ago. Now waiting for AC3 on PS4. The last AC game I played was Revelations, but didn't complete. I got really annoyed with all the chase/follow missions. This re=master looks great, but I suppose it'l be chock full of "follow Kevin to the shop" stuff? @gamerssdelight thank you! Been waiting for a sensible review. People write this game off and this remaster but I agree what a important moment in the series this was. After your review I’m really looking forward to getting stuck into this version and the switch. @licenced it wasn't a freebie if you paid extra for gold. Kind of was though as I was buying Gold anyway. And for only £33 during one of the uPlay sales I'm pretty sure I will get more-than-full value out of AC:O alone, even if I never touch the remaster. @ILoveVideoGames ah nice one, I did the ezio collection a little while back. Loved ac 2 as much as I did when it was new, Ezio Auditore Di Firenze is a true legend of gaming even though I did start to fatigue pretty hard by the time I got to revelations. Still I'm glad to have it in the collection. Have you tried the side scrollers? I've not myself but my girlfriend is a fan of them. The China one looks quite cool artwise. It's a lot bigger download than I was expecting 65gb! Fairly large day 1 patch as well at 18GB. Love the one that says "It is now less likely for snow and rain to fall inside of the Homestead Tavern." Only "Less likely" to snow inside now??! Nice info, but man it seems like it’s so hard to go back after Odyssey and the Egypt one with Bayek. Downloaded it because part of my AC Odessey season pass. But man, no way to go back after Origins and Odyssey. It just seems so chopped up, and those faces and eyes! Lol! I honestly liked this game, but I'm not in a hurry to double dip on it. For me, Black Flag was undeniably better. I remember this game being particularly laden with glitches too. The worst one I encountered was a rare glitch where for some strange reason, I was never given the ingots needed to upgrade my gear. It was a game-breaking bug that kept me from 100%ing the game, but years later I picked it back and restarted it to get 100%. Perhaps that experience is what's putting me off of the remaster. I prefer Prince of Persia more. I hope I could this series remade. It looks worse than the original in a lot of areas. I'll stick to my PC original at 4k 60Hz.